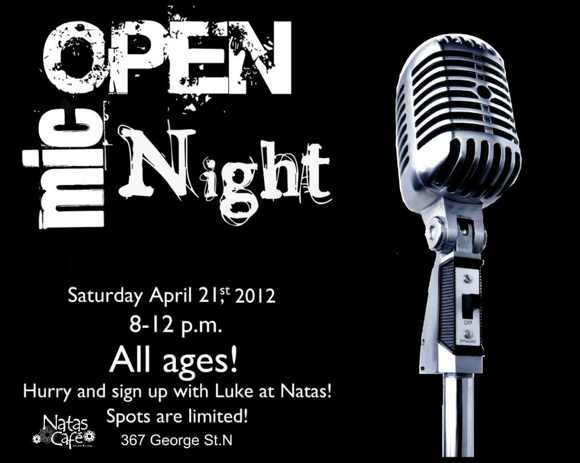 This Saturday (April 21st), Natas Cafe will be hosting an Open Mic Night. Sign up with Luke at Natas. For more details, you can give them a follow on Twitter.